Mr. Janitz supports The Gores Group by sourcing investment opportunities and advising on strategy, technology, manufacturing and operations matters in the industrial sector. Evergreen has previously been engaged by TowerBrook Capital Partners where Mr. Janitz was a member of the Management Advisory Board and by DLJ Merchant Banking Partners, the Private equity arm of Credit Suisse where he held the position of Chairman – Global Industrial Partners Prior to forming Evergreen, Mr. Janitz served as Co-Managing Principal for Questor Partners Funds, a $1 billion private equity turnaround fund. Before that Mr. Janitz was President, Chief Operating Officer and Member of the Board of Textron Inc. a NYSE-listed multi-industry company with over $12 billion in worldwide sales. Before Textron, Mr. Janitz was an Executive Vice President with TRW Inc. a multi-national company providing advanced technology products and services. In addition, he served as President of Wickes Manufacturing Company, and held a number of key executive positions with Wickes’ predecessor company, Gulf+Western Industries, Inc. Mr. Janitz began his career with Ford Motor Company. Mr. Janitz holds a B.S. degree in mechanical engineering from Villanova University, an M.B.A. from Eastern Michigan University and is a graduate of the Harvard University Advanced Management Program. Mr. Janitz is a former director of Kodak (NYSE:KODK) and currently on the boards of STR Holdings LLC (NYSE:STRI), Aerostar Logistics, Taco Inc., Store It Cold, TurbineAero and US Farathane. Mr. Schiano supports The Gores Group by sourcing investment opportunities, and providing strategic, operational and financial guidance with respect to portfolio company investments in the industrial sector. 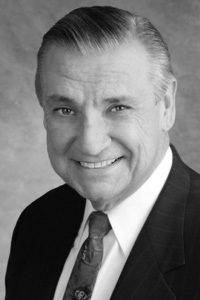 He is also past President of Gores Holdings II, Inc. (NASDAQ:GSHTU). Evergreen has previously been engaged by TowerBrook Capital Partners where Mr. Schiano was a member of the Management Advisory Board and by DLJ Merchant Banking Partners, the Private equity arm of Credit Suisse where he held the position of Vice Chairman – Global Industrial Partners. Known for his ability to refocus business units and drive positive change, he has compiled a noteworthy track record of performance improvement for an impressive array of Fortune 100 and sponsor controlled companies. He is also an accomplished dealmaker, having led many successful transactions in a variety of industries. Mr. Schiano has served on numerous local government, private company, joint venture and public company boards including STR Holdings Inc. (NYSE:STRI) where he served on the Audit and Special Transaction Committees and Material Sciences Corporation (NASDAQ:MASC) where he served on the Audit, Compensation and Governance Committees and led the Special Committee responsible for successful sale of the Company. He is currently Chairman of the Board of TurbineAero Inc., he is a director of US Farathane, LLL Transport and Aerostar Logistics. He is also a member of the Advisory Boards of Great Range Capital and Closed Loop Partners. Prior to forming Evergreen, Mr. Schiano served as a Managing Director and member of the Investment Committee of Questor Partners Funds. 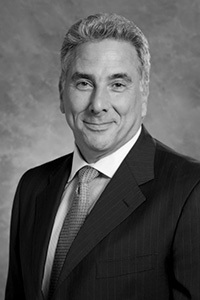 Previously, Mr. Schiano served in various executive roles at Textron Inc., including Executive Vice President and CFO of Textron Automotive, Executive Vice President and CFO of Textron Fastening Systems, Inc., and finally as Executive Vice President and General Manager of Textron Fastening Systems Inc. (Threaded Products Group). Prior to Textron, Mr. Schiano held senior positions at TRW Inc., where he was responsible for mergers and acquisitions, joint ventures, licensing, and strategic alliances. Prior to that, Mr. Schiano held progressively responsible finance, M&A and operating roles at Wickes Companies Inc., its predecessor, Gulf+Western Industries Inc. and Emerson Electric Company Inc. Mr. Schiano attended Long Island University, majoring in Finance, the University of Pennsylvania – Wharton School Management Development Program and the Northwestern University – Kellogg School Mergers and Acquisitions Program.